This post has been way too long overdue and has been sitting around my draft pages for months since my last travel related post. 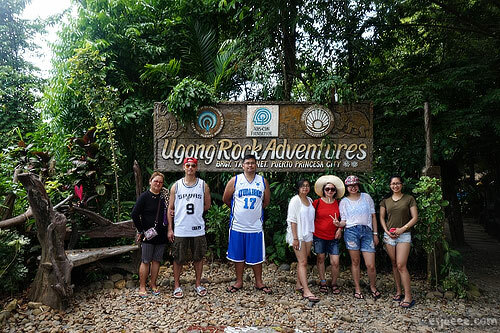 Our second day in Puerto Princesa, Palawan ran an itinerary filled with exciting adventures. Hello beautiful earthlings! I am so happy to say that my exams for my third year in college is finally over! And good news, I am now employed for my internship! I am so happy and excited! Anyway, I just wanted to post something that happened recently. I was at a cafe the other day and had a very strange conversation with a stranger. She asked me what I was studying and if I could speak English and I said yes. She was so curious as to what I am. It is quite difficult to explain what I am to people without going through my history. My nationality is Irish, my ethnicity is Asian (Filipino) but I was born and grew up in Jeddah, Saudi Arabia and my accent, well is American. This stranger lady told me that I should learn how to speak proper English. I was confused. She did not think about my proficiency in English and that I am multilingual. When I got talking, she was probably taken aback since I was conversing with her fluently. She then told me to change my accent and that no employer here in Ireland would hire me. I told her that changing my accent would be a very hard thing to do. She was being a little aggressive and told me to use the word "difficult" instead of "hard". In my head, it is the exact same thing and "hard" is easier to say since it has less syllables. The conversation continued and I read in between the line. She basically was saying that I am incompetent because of my accent and that she was superior. It got me thinking how sad of a person she must be to actually take her own time and mine to get this point across that one makes one better because of their accent. It shocks me how people think like this. I experienced being judge because of my race, and I don't need someone to judge my capability just because my accent is different. Life is already hard as it is and we don't need this kind of mentality at all. At the end of the conversation, I politely said bye since I had to go to my exam. And little did she know that I am employed (and by next week, I am employed by two employers! :D) not because of my accent and race but because of my personality and capabilities. TLDR post I know but yeah. The moral of this story is be kind a human. And a person's capability to do things is not based on their race or accent.